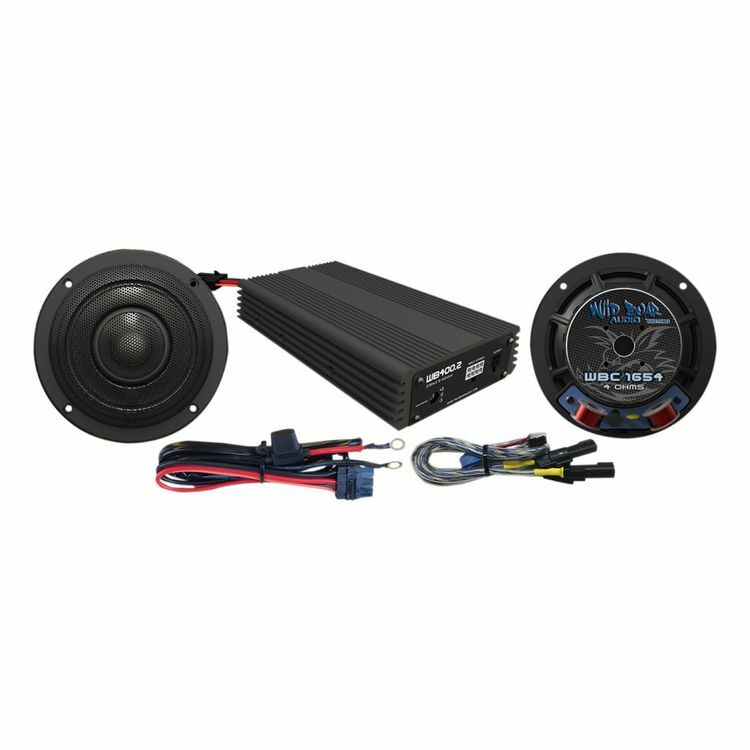 This audio-upgrade kit features a 400-watt, 4 ohm, 2-channel amplifier accompanied by the perfect 4 ohm, specially designed 200 watt (each) speakers. Speakers feature large, vented magnets, nice studio grade crossovers, 1.25” titanium dome tweeter and a carbon fiber cone. These high quality components make a difference and work very well in the very small factory speaker cabinets. The kit comes complete with everything you need to start rocking out while you ride.